Using the massive computer-simulation power of the San Diego Supercomputer Center (SDSC) at UC San Diego, researchers are zeroing in on the causes of Parkinson’s disease, Alzheimer’s disease, rheumatoid arthritis and other diseases. 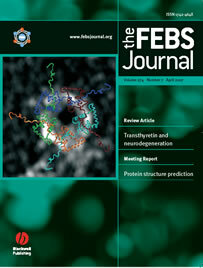 A study published in this week’s Federation of European Biochemical Societies (FEBS) Journal offers – for the first time – a model for the complex process of aggregation of a protein known as alpha-synuclein, which in turn leads to harmful ring-like or pore-like structures in human membranes, the kind of damage found in Parkinson’s and Alzheimer’s patients. The researchers at SDSC and UC San Diego also found that the destructive properties of alpha-synuclein can be blocked by beta-synuclein – a finding that could lead to treatments for many debilitating diseases. The current journal’s cover features an image from the research that helps illustrate the scientists’ work. The complex calculations for the study were performed on Blue Gene supercomputers at SDSC and the Argonne National Labs. Tsigelny worked in collaboration with Pazit Bar-On, Department of Neurosciences; Yuriy Sharikov of SDSC; Leslie Crews of the Department of Pathology; Makoto Hashimoto of Neurosciences; Mark A. Miller of SDSC; Steve H. Keller in Medicine; Oleksandr Platoshyn and Jason X.J. Yuan, both in Medicine; and Masliah, all at UC San Diego.